An attorney may not be the first person you think of when facing the possibility of a divorce, separation, paternity, or child custody issue. But once you realize some matters require involvement with the courts, your next decision is: which lawyer will most vigorously represent your legal rights, helping you attain what's in the best interest for you, or your children. Attorney Philomena A. Barboza has been practicing Family Law for over 2 decades. Her twenty-two years in Family Law is not just experience with Divorces, Legal Separations, Child Custody & support cases, it also includes Guardianships and Special Education Law. She has handled cases in various courts across Massachusetts during that time, and helped many clients and their children, along the way. As a parent of twins, born with disabilities, she became involved with special education issues through the need to stand-up for rights to services and programs, on behalf of her own children. 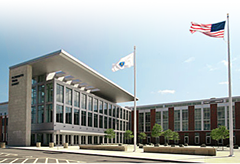 A Member Of Plymouth Ma., District Bar Association, Attorney Barboza has also represented clients in many school districts, and before the Bureau of Special Education Appeals. She also has practiced before the Social Security Administration. From her Family Law office located in Taunton, she represents people in southeastern Massachusetts, including the towns of Somerset, Swansea, Seekonk, Dighton, New Bedford, Dartmouth, Taunton, Raynham, Attleboro, Fairhaven, Easton, Mansfield, Norton, Rehoboth, Westport, Berkley and North Attleboro. Norfolk: Dedham, Canton, Walpole, Quincy, Westwood, Needham, Foxboro, Franklin, Braintree, Stoughton, Dover, Milton & Millis. Plymouth: Plymouth, Brockton, Hanson, Bridgewater, Middleboro, Norwell Hanover, Hingham, Mattapoisett & Marshfield. Barnstable: Barnstable, Falmouth, Yarmouth, Dennis, Sandwich, Mashpee, Harwich, Chatham, Brewster, Wellfleet & Eastham. Philomena A. Barboza is a lawyer dedicated to providing you with legal representation that is aggressive, compassionate and affordable. Reasonable attorney fees and payment plans.